- Chair Professor of Civil Law at Univeristy of Valencia (Spain). - Data Protection Officer (DPO) of the Univesity of Valencia. - Expert in data protection, artificial intellegence, big data and transparency. - DIRECTOR of Official Master on “Mediation, Arbitration and Conflict Management in Private Law”. - Member of the Committee of Wise Men of the Government of Spain for the writting of the "White Paper on Artificial Intelligence and Big Data". - COORDINATOR of MICROCLUSTER “Law and Business studies on ICT" valenciatics, and member of the Microcluster Microcluster "Health, Genetic and Social Law", both within the VLC / CAMPUS , Valencia International Campus of Excellence. 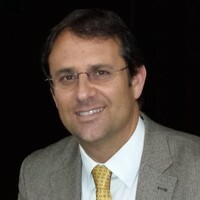 - Principal Researcher of the Research Project Prometheus 23/2011 on implementation of the technological model of the Community of Valencian Government (Generalitat). - Principal Researcher of the project "Base for convergence of the transmission property rules of Member States of the European Union." Reference DER2010 - 21913 -C02 -01 (sub JURI). - DIRECTOR of NEW TECHNOLOGIES LAW REVIEW, published by Thomson-Reuteres Aranzadi, with the exponsoring of Spanish Registrars of Property and Companies. - PRESIDENT of the VALENCIANISH CIVIL LAW ELECRONIC REVIEW. Indexed by RESH (http://epuc.cchs.csic.es/resh). - SECRETARY of BANKRUPTCY LAW YEARBOOK, published by Thomson-Reuters Aranzadi. - Usual AUTHOR of PROPTERY LAW REVIEW, published by Thomson-Reuters Aranzadi. - Usual AUTHOR of LEGAL TODAY, published b Thomson Reuters. - GROUP COORDINATOR of VALENCIANISH STUDY GROUP ON EUROPEAN PRIVATE LAW (VSGEPL). - GROUP COORDINATOR of "ACTUALIZA", for the reform of Private Law (GROUP OF OBLIGATION LAW). - Member of the GROUP ON ICT LAW at the Unversity of Valencia. - Member of R&D GROUP on INTELLECTUAL PROPERTY at the Unversity of Valencia. - Miembro del GROUP on SOCIAL AND INTERDISCIPLINARY STUDIES ISSG of the Universitas Fundation. - Profesor of the Mastewr LAW AND NEW TECHNOLIGIES, of the PABLO DE OLAVIDE University. - Professor of the Master MAGISTER LUCENTINUS of the UNIVERSITY of ALICANTE. - ACADEMIC of the International Academy of Science, Technology, Education and Humanities.